The statistic shows the share of members of different etnicities or races within the Millennials in the U.S. The term Millennials refers to the age group 18 to 34 here. 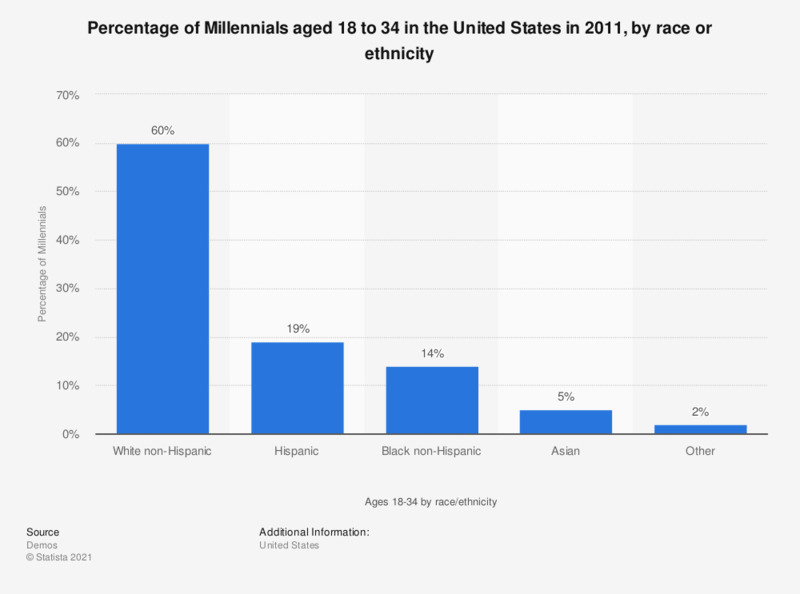 In 2011, 60 percent of the Millennials in the United States were non-Hispanic Whites. The entire 18 to 34 age group is referred to as Millennials in this report for convenience's sake, since they comprise the vast majority of the age range surveyed.